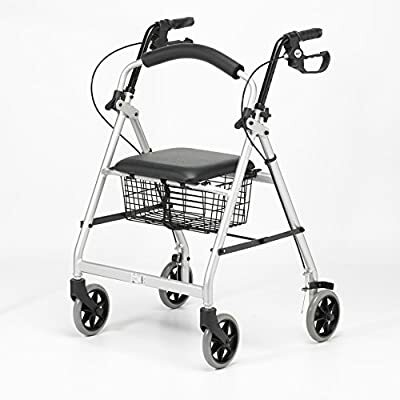 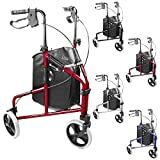 This lightweight rollator has height adjustable handles and and cushioned safety bar for added safety. 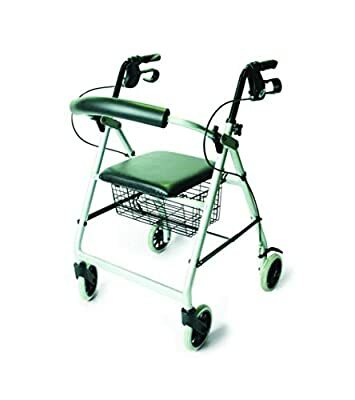 The handles have a comfortable ergonomic design and the loop brakes lock in position for added security. A rest seat is included as standard and the basket is ideal for carrying items during use. 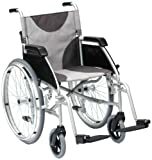 Folds flat for storage and transportation. 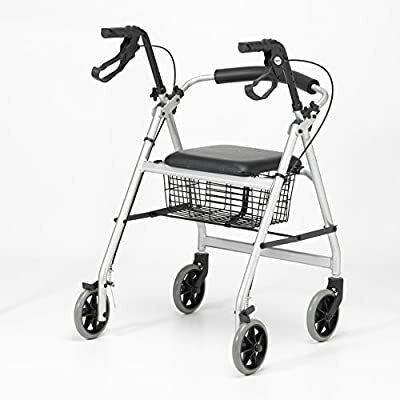 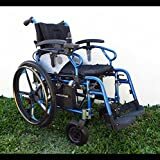 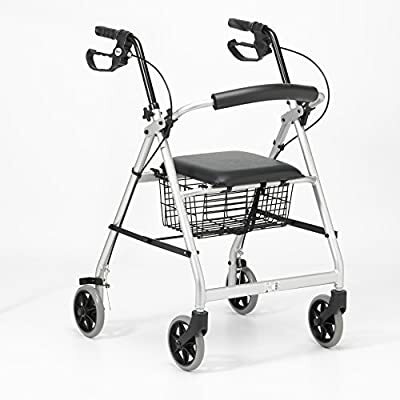 Overall Height: 795 - 905mm / 31.25 - 35.5"
Overall Width: 620mm / 24.5"
Overall Depth: 685mm / 27"
Seat Height: 530mm / 21"
Seat Width: 300mm / 11.75"
Seat Depth: 305mm / 12"
Width Between Arms: 445mm / 17.5"
Backrest Height: 305mm / 12"
Diameter of Wheels: 200mm / 7.75"